A few weeks ago, I ran across an apple crisp recipe I used to make while I was in college. On a recipe card in my handwriting, with past ingredients splattered and smudged across it, it begged me to revisit its goodness. So I sliced up some of the last of the Haralsons we picked this fall, and slid a pan into the oven. But it wasn’t everything I remembered. Funny how that seems to happen to me every once in awhile with old recipes. I think my expectations for good food have a higher level now, and sometimes “good” just isn’t good enough any more. I hope that doesn’t sound like food snobbery. So when a beautiful box of sweet and super crisp Honeycrisp apples from Harry and David arrived at our door over the past weekend, I knew I was going to take another shot at that apple crisp. Because there was definitely potential in that recipe. 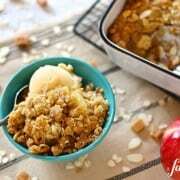 This Caramel Apple Almond Crisp now makes me seriously reconsider which recipe is my favorite apple crisp. 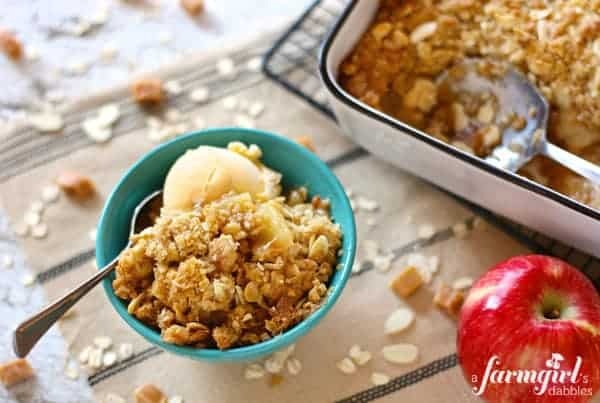 The apples are sweetened with just the right amount of caramel, and topped with a bulked up oats and almond crisp that’s crunchy, buttery, and just a little bit saltier than the norm…it’s absolutely irresistible. For those of you who haven’t yet decided on Thanksgiving dessert, give this apple crisp some serious consideration. It’s quick and easy to put together, and so much better than “good”. Place apple slices in large bowl and sprinkle with orange juice. Stir to combine. In a small bowl, combine flour, sugar, cinnamon, and nutmeg. Pour over apples and stir again to combine. Place apple mixture in a 9” x 9” pan. Spread caramel pieces evenly over top of apples. In a medium bowl, whisk together flour, oats, brown sugar, salt, and baking powder. Add butter and cut in with a fork or rigid pastry cutter until you have large pea-size crumbs. Then gently fold in the almonds. Sprinkle mixture over the apples. Bake for about 35 minutes, or until apples start to bubble just a bit, and the topping is nicely golden. This is best eaten on the day it is made, especially when it is still a bit warm. Serve with a scoop of vanilla ice cream. Adapted from My Favorite Apple Crisp recipe and a recipe I used to make in college (but I have no idea of its origin!). 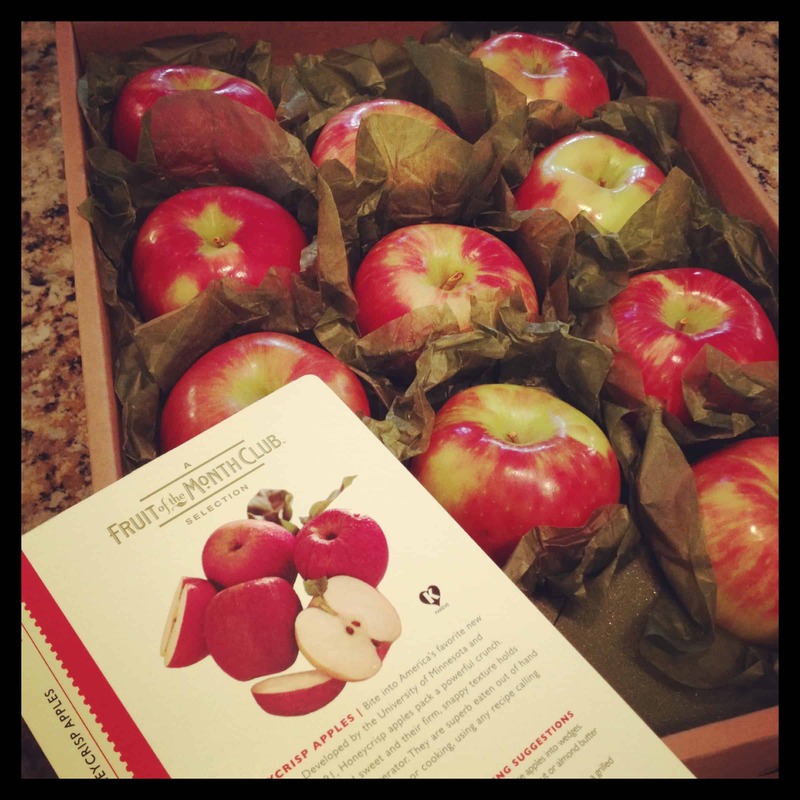 Disclaimer: After visiting Harry and David in Oregon last month, they signed me up for their Fruit of the Month Club. I am a very grateful recipient, and happy to share Harry and David’s goodness with you. I was not compensated for this post. 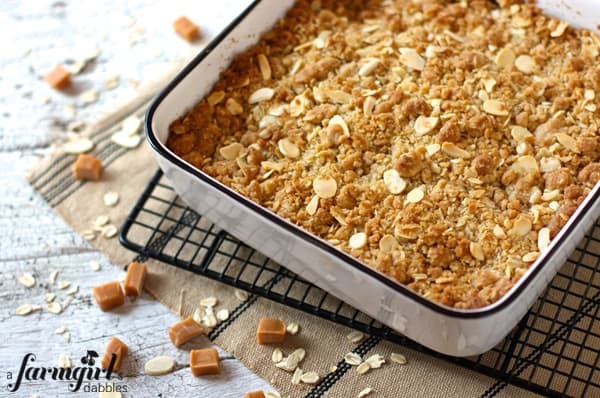 I have been thinking about making the Caramel Apple Almond Crisp for one of the desserts for Thanksgiving, my question is could I assemble this the day before & just bake it the day of or if I do this will the apples began to brown or will the orange juice prevent that from happening? This just looks so delish and says. “Fall”, doesn’t it? I pinned the recipe and shared on Facebook. 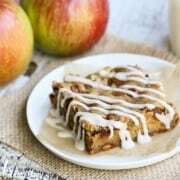 I think everyone is craving a yummy and easy apple dessert right now. Hope I can make this over the weekend. This was absolutely delicious. It was gone in no time and I have been forced to make promises of baking it again soon. It was just as pretty as it was tasty! Trying out your overnight apple oatmeal for tomorrow morning, looking forward to it! Oh-so-delicious and comforting! A perfect heartwarming treat for cold days! So tasty! I’m a sucker for a good apple crisp! Will definitely be giving this a try in the near future! I would be thrilled to have a bowl of this right now! I’m all for an apple crisp that tastes like caramel apples! looks amazing! i love “crisp” anything & with caramel – oh my! Caramel, apples and almonds…I like everything about that sentence. What a great recipe, Brenda! Thank you so much, Dara – and thank you for sharing! Hope you had a wonderful Thanksgiving. The addition of caramel makes this very special! Someone just brought me a whole bag full of apples from their tree and this looks like a yummy way to use them up! Oh Brenda, that looks divine! 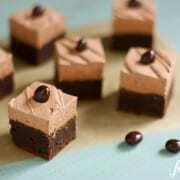 Not that I need more dessert today, but I’m awfully tempted to make this! What gorgeous apples! I love that you added caramel, delicious! I love this!! 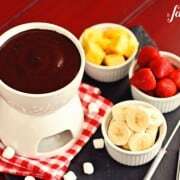 I have to make this, this holiday season!! I love crisps, especially for the crumbly topping! I can almost taste this! What a fun dessert! Perfect for family gatherings!